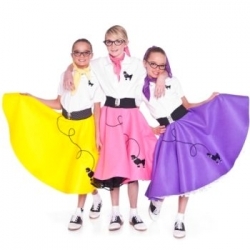 Sock hop dances and Halloween parties are fun occasions for dressing up in a retro 50's look with a poodle skirt outfit, complete with skirt, Saddle shoes, Bobby socks and cateye glasses. With 50s themed sock hops being one of the common themes for dances, parents are finding that they need to be (sometime rather quickly) pulling together these 50s inspired costumes. Dressing up in a Poodle Skirt outfit together can also be a relatively easy Halloween costume for young girls, teens and women. Of course if you'd rather make you own, see the Make a Poodle Skirt with a DIY Pattern that will walk you through making your own circle skirt. I didn't know much about the history of the poodle skirts before writing these pages, so I have also included what I could find about how the poodle skirt was developed and went on to become one of the iconic looks for the 1950s. 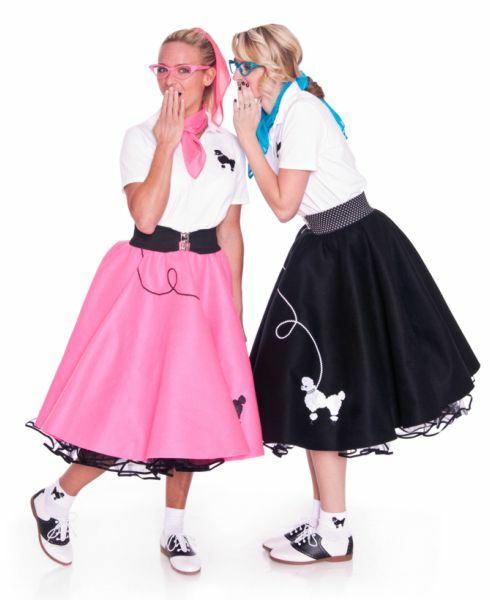 50's style poodle skirts are a fun retro costume to wear for any school dance or to wear as an easy Halloween costume. The costume is pretty easy to put together,especially if you have some old poodle skirts hanging around in storage or can find them at a thrift store. Doesn't this tween to the right look like she is having a lot of fun? I really like the bright lime green, which is more of a contemporary color than the traditional 50's pink, black and white. She also has the right amount of sass for a 50s retro look. Starting at the top the pieces of the costume include: hair scarf (to match the skirt) and cateye glasses, white polo shirt, wide elastic cinch belt, poodle skirt (to match the scarf), crinoline petticoat, bobby socks and saddle shoes. Our model here is rocking two scarves, one in her ponytail and one as a neck scarf. Many times the accessories like the belt and the petticoat match the color of the poodle on the skirt and the socks; in this case the poodle is black. Other favorite poodle colors are pink or white. The skirts and scarves come in a variety of colors. Trying to pick just one might be difficult. The skirts come in black with white poodle, black with pink poodle, hot pink, pink, purple, red, teal, yellow and lime green all with a black poodle. Of course if you make your own, then you can come up with your own special color combination. With all of the colors, poodle skirts make great group costume ideas. 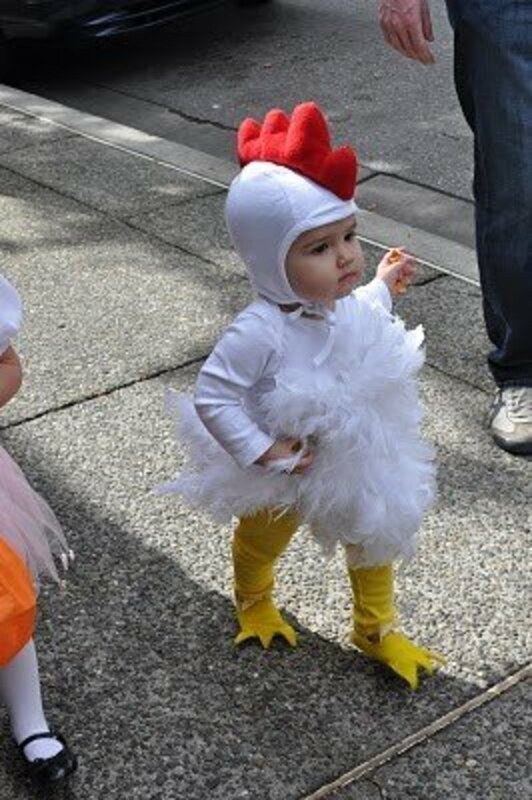 They come in sizes as small as infants up through plus sizes making them a costume that can be worn by women of all ages. Would you wear (or have you worn) a poodle skirt for a fun costume party? Yes, I have worn one. Yes, I am going to wear one. If you don't have time to pull your own costume together, these poodle skirt outfits come with most of what you need for a complete costume. Makin a 50's style circle poodle skirt is a fun DIY project in making your own pattern. It is also a good math lesson in understanding the basic mathematics of drawing circles. This 4 piece child outfit comes with the poodle skirt, Bobby socks, chiffon scarf and cateye glasses. 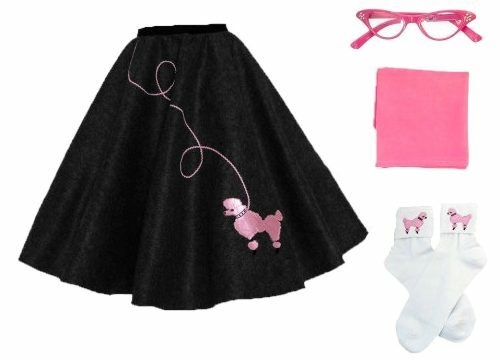 This Poodle Skirt outfit has the poodle skirt, cateye glasses, chiffon neck or hair scarf and Bobby socks. In this color combination all of the accessories match the color of the poodle. 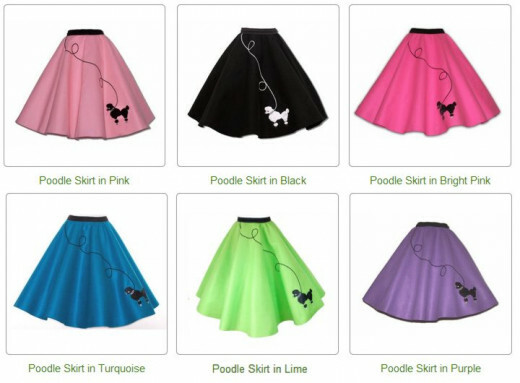 This 25" long poodle skirt comes in a variety of colors: black with white poodle, black with pink poodle, hot pink, pink, purple, red, teal, yellow and lime green all with a black poodle. To see some of the different color combinations look at the image below. This version is just the skirt. 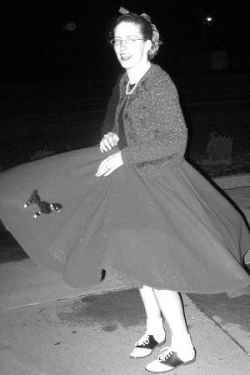 Petticoats help to make the poodle skirts puff out more and can be seen under the skirt when twirling around on the dance floor. This tea-length crinoline petticoat with 2 layers, each with 5 tiers will help make your Poodle skirt stand out. This girls nylon petticoat comes with 2 layers, each with several tiers for extra puffiness. Use a Peter pan style blouse or wear a white polo shirt in a pinch. 50's style blouse with a Peter Pan color for adults. Polo shirts for juniors in a variety of colors. With the right color, this is one that can be reused. Outfit your feet with Saddle Oxford shoes and Bobby socks. Girls bobby socks with black poodle applique. Dress up your feet in these 50's inspired Saddle Shoes and poodle embellished Bobby socks. For a bit of fun try pink saddle shoes and combine them with pink poodle Bobby socks. Choose from a number of different color combinations with this Saddle Shoe. Fun Bobby socks with pink poodle appliques for the perfectly pink 50s look. Add the chiffon scarf of your color choice. 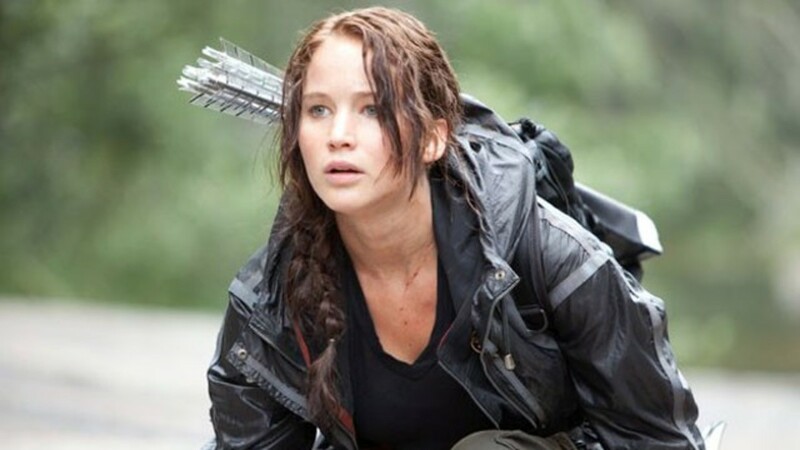 Tie the scarf in your hair, as a headband or around your neck. Measures 21 by 21 inches. Don't forget the Cateye glasses in a color to match your poodle skirt. Add some cat eye rhinestone glasses in a pretty shade of pink or choose another color like a more sedate black. Choose your own color of rhinestone embellished 50s glasses. Check the sizing, some of the costume sets are for adults and others for children. The Poodle Skirt started as a circle skirt. These swingy skirts were popular after the second world war, perhaps because, for a change, there was more fabric available and women wanted to celebrate with a carefree design. If you look at the pattern the swingy skirt is a very simple. 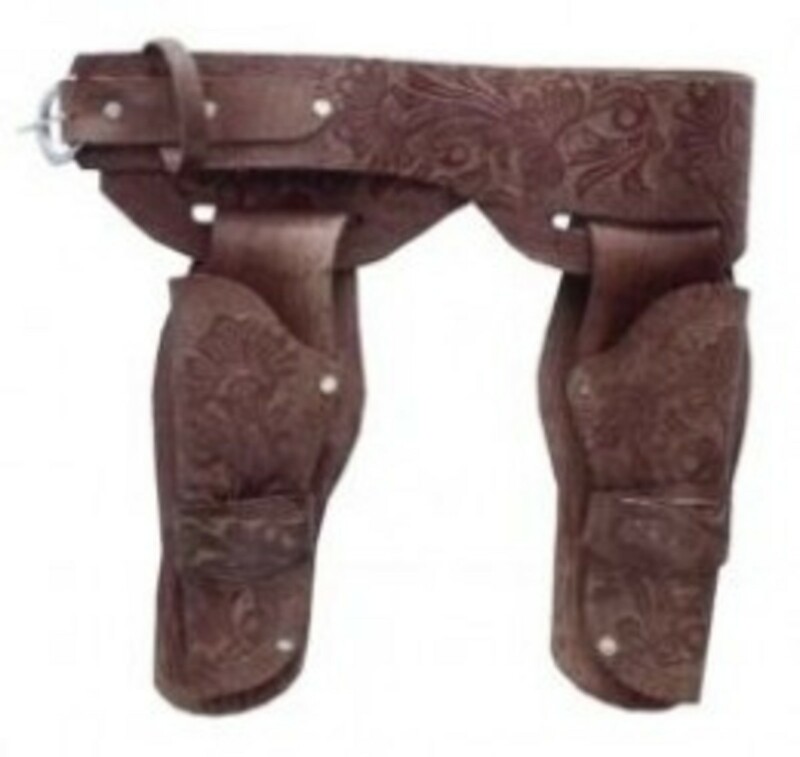 It is also a very flattering style that can be worn by women of many different shapes. The skirt fabric is helpful for hiding larger hips and any excess muffin tops contributing to the popularity of the skirt. If you look at the pattern in the lower left you can see it is pretty simple. The Swingy Skirt could be made quickly from just two pieces of fabric and in this pattern a zipper. 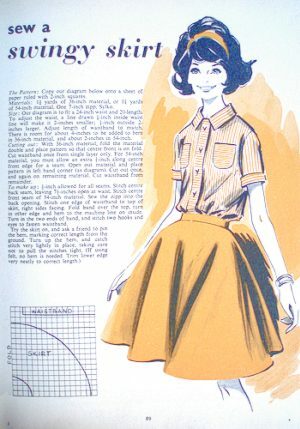 Since the pattern was so simple just with a some fabric and a few calculations to customize the size, teenagers in the 1950s were able to make their own custom circle skirts which were worn at sock hops. Thanks to Juli Lynne Charlot lack of sewing skills (read more below) the circle skirts were embellished with poodles and other appliques, and started a fashion-craze that continues to this day. As with many ideas, the poodle skirt was born out of necessity by self-proclaimed non-sewer Lynne Charlot and went on to become quite a profitable business. At the time she was an actress who needed quick and easy something to wear to a 1947 holiday party in Los Angeles. 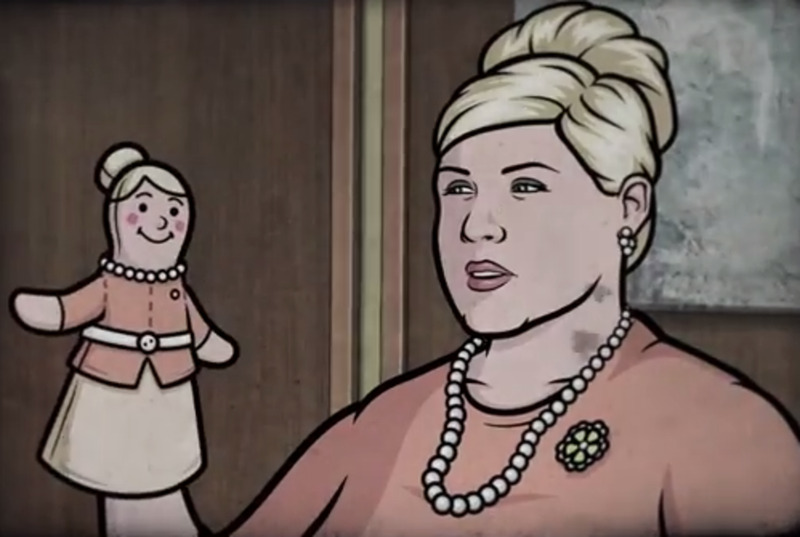 The drawback was that she didn't sew. Charlot described her popular skirt style in a 1953 interview with the Toledo Blade, touting "Girl Who Couldn't Sew Booms Into Business With Circle Skirt." After cutting out the large felt circle she decorated it with an appliqued Christmas tree. Charlot sold her first circle skirt a week later because she needed the money. From there the orders started coming in for her decorated whimsical circle skirts. To start with these story-telling skirts were very popular with adults, but they also became very popular with teens who were making their own circle skirts from felt with poodle and other appliques. Poodle skirt adapted from shortiestar3000. Used under Creative Commons license. More than just a Halloween costume the poodle skirt is one of "the looks" associated with the 1950s. Many teenagers and even some of their mothers own this popular style of skirt. These are the articles that I found with more of the history of this iconic 50's style. I cut it [the skirt] out of felt, because I didn't know how to sew, and that was the only material I knew wide enough to cut a complete circle skirt without any seams. You have heard of Poodle skirts and their association with 1950s fashion, but you may not know how they originated or the profound influence they have had on women's fashions since that time.